I t’s hard to believe that we are closing in on the final months of the sand drag season in Michigan, with school starting and the days starting to get shorter the end can’t be far away. There has been some great racing over the summer and it should continue into the fall. July was the “big” month, as far as racing goes, at WMSD. With the Chassis Shop Shootout, the Bad Frog Beer/Richard’s Auto Parts Pro Truck Shootout, and the Appletree Automotive US Sand Nationals all taking place in July, it can make or break your season really quickly. The Pro Truck Shootout also featured the Ultimate 4WD Shootout sponsored by Cascade 4WD and Proformance Prototypes. I had a personal hand in that, and we brought in the 3 fastest blown alcohol 4WD cars in the country. West Michigan Sand Dragway season hosted three of its season’s largest races of the season on July 21, July 26-29, and August 11. The July 21 event was the U.S. Sand Nationals Warm Up event with the July 26-29 race being the U.S. 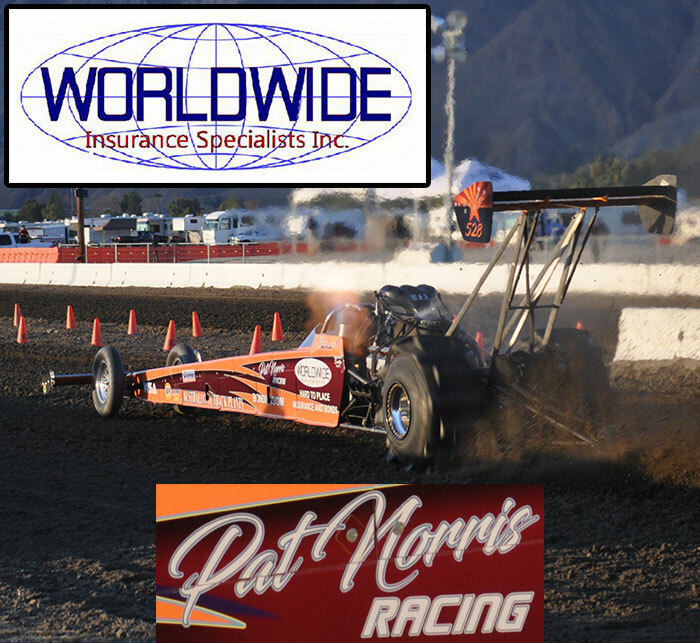 Sand Nationals and the August 11 event featured the Sportsman Extravaganza. This recap highlights these events which are the sixth through eighth of the 12 race WMSD point series. It’s amazing that fall is just around the corner. It seems like just yesterday that this site was launched and I was writing this first column. You may have noticed that this month’s issue of NSDN came out a little later than previous issues. Starting in September, we will move back the issue launch to the first Tuesday of each month. This should help us bring the best sand drag racing coverages and features to you consistently at the same time each month. We will also continue posting results and news on a daily basis, bringing you instant information from the world of sand drag racing. 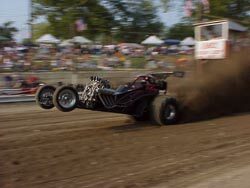 Here in the Midwest you can find more than just sand drags at some of the events. 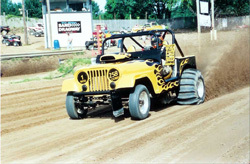 Some tracks are equipped with hill climbs and obstacle courses that take you back to a time when sand drags were more referred to as “Jeep Races” in this part of the country. When I first started racing I was completely focused on the drags and had no interest in any of the other activities at these tracks. My cars were representative of that. 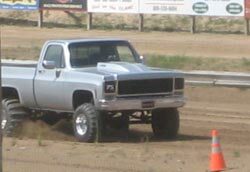 I ran a 2WD altered for years. When I met my wife we built her an altered with the same focus in mind. I was in the process of building myself a rear engine dragster when my daughter was born. I knew then that I needed to rethink my racing plans so that we had time to take care of her at the track and still race two vehicles. It was then that I decided to buy a Jeep. It was something a little slower with hopefully a little less maintenance that would also keep my wife and me away from each other in competition, to allow one of us to watch Riley while the other raced. Also, with the Jeep being 4WD I could compete in the EC4WDA classes as well, where they have some of these hill climbs.